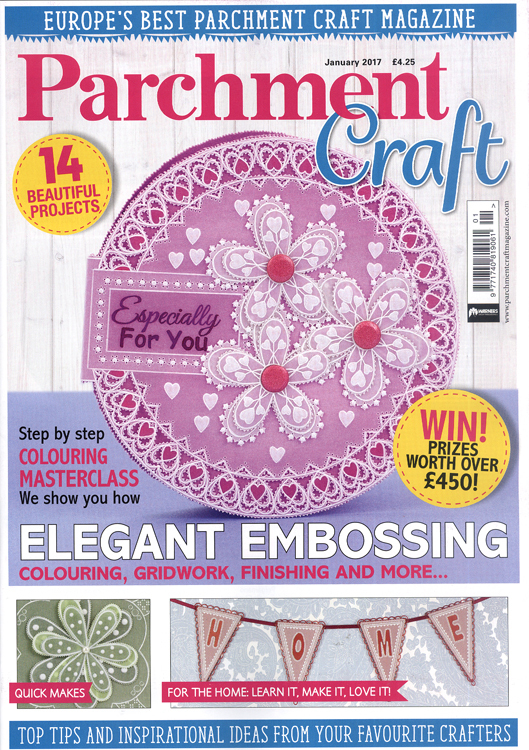 Happy New Year and welcome to the January issue of Parchment Craft. I hope that you're all ready for 2017 and that you're going to be sticking to those resolutions! There's so much inside this issue I won't know what to tell you first. How about that we have three Shaped Cards by Tina Cox, a rather novel idea showing how shapes can be incorporated into different parchment designs, and we start the series with a very bright circular design which you will have seen on the front cover. That's followed by Feathered Friends by Alison Yeates, and Fashion Through the Ages by Judith Maslen. I know that all three designers have worked really hard to bring these exclusive designs to you and I also know what they got in store for the rest of the year, so make sure you don't miss out, take out a subscription! Lastly, I'd like to introduce to you Faye Wynn - Jones. 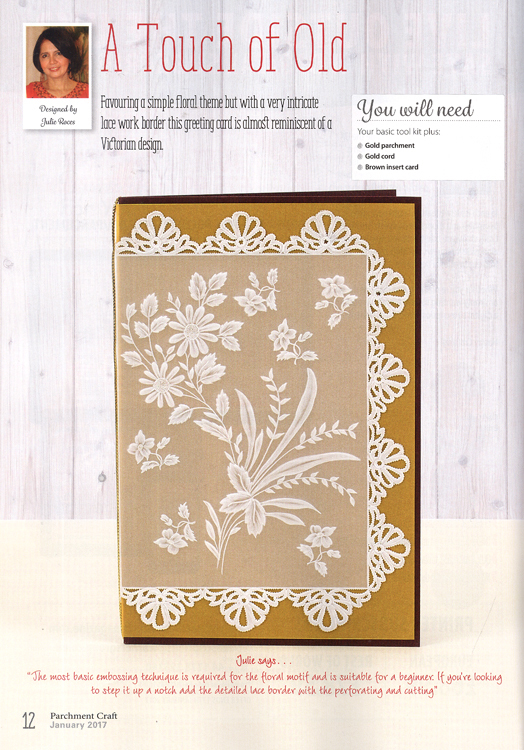 If you're a regular reader of our sister publication Making Cards, you will be more than familiar with her work. When it comes to working with colour, Faye is an expert, travelling all around the globe teaching various workshops and classes. 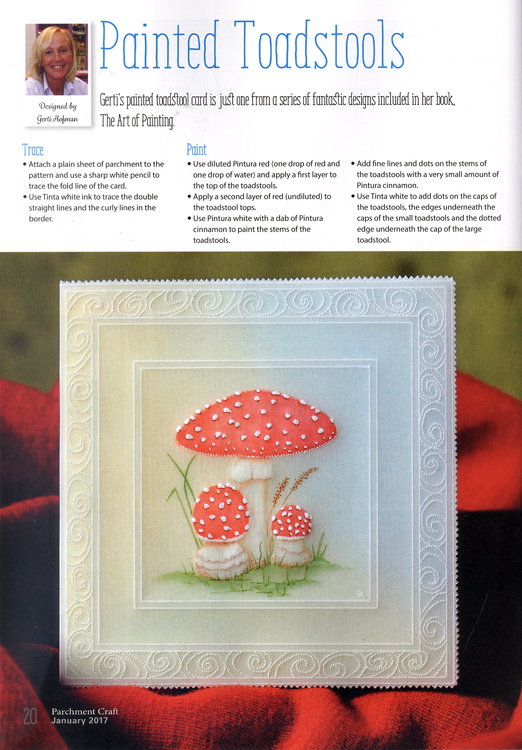 I asked Faye if she could provide a series of cards explaining how to apply colour, this month she has used Faber - Casetell Polychromos Pencils.